plaMobi is a real-time map classified mobile application that enables you to advertise yourself virtually on the go. It provides a wide range of options to help and resolve your needs in the location (Geolocation) you are in. Through plaMobi, you can either post and seek help or provide a helping hand to the one who needs it, with your mobile anytime. With plaMobi, you can advertise the service(s) offered by you or by your business/shop, or post status seeking help or collate information about any specific need such as doctors, carpenters, fashion designers, teachers, etc. by communicating with your neighbours/strangers. Whenever you advertise or post something, it gets updated instantly in the map. All users who have installed plaMobi can browse through the map and see the post, or create filters to receive specific post update notifications. You can create multiple filters like “Room”, “House for sale”, “Cab” , “Chinese food”, “iPhone accessories”, “Christmas celebration”, “Tournament”, “Public show”, etc. 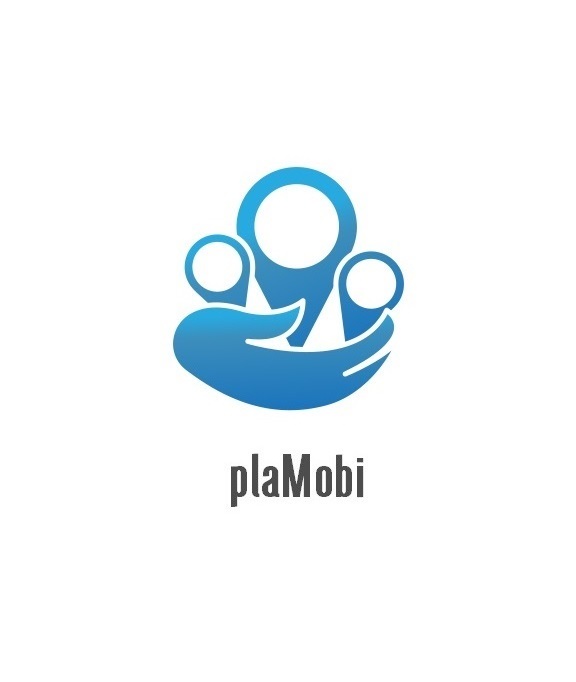 plaMobi plays a significant role in helping you and assuring all your needs are met in the location you are in. Use case: Let’s consider you have traveled to a new location unplanned for an urgent work and looking for a hotel room in that location to stay. You post a message on plaMobi saying “Looking for a hotel room in and around ABC location”. The post gets updated instantly in the plaMobi map, and notification is sent to the plaMobi users who have created Geolocation filter to receive room enquiries or updates. The nearby inn manager may notice your post and communicate with you through the medium you have chosen (i.e. Call, Chat or Email) to help you. Instead of a room, consider you are looking for a cab in the location you are in and have posted the same in plaMobi. A passer-by cab driver or travel agency may notice your post either by receiving a notification or browsing through the plaMobi map, and contact you to help. Thus, you can post your needs on plaMobi and get the solution on the spot anytime. Geo-boundary Notification: To receive post updates of the plaMobi users from the Geolocation you are currently in. The maximum distance that can be covered in Geolocation is 50 miles i.e. you will receive post update notifications from the areas that are within 50 miles from the location you are currently in. Geo-boundary notifications are very helpful in all situations. You can add a filter and plaMobi matches with its existing posts and instantly notifies you when the filter matches any of the posts. Use case: Consider you are driving from location A to location B in a highway and your car breaks down in between. In this emergency situation, you can just create a filter in plaMobi or post a status saying “Need mechanic urgently”. All plaMobi users who have added “Mechanic” in their filter will be notified instantly. On the other hand plaMobi looks for the posts matching “Mechanic”, and notifies you about it. A nearby mechanic receives notification about your post, and reaches you to provide help. Any such emergency posts can be notified to a passerby, or any one in that Geolocation so that you get an helping hand in the time of need. ► Post a message: You can post a status update seeking help or advertise your product/service easily on plaMobi. Use hash (#) tag and post the things that you want to convey to the users of plaMobi. For example: “Looking for a #cab”, “Best #South Indian restaurants”, “Best #Structural engineer needed to renovate #kitchen and #living room”, etc. A classic example of a promotional message by a shop owner can be: “Get Flat 40% off on #apparels and footwear for men, women and kids”. ► Create specific filters: To receive status update notifications. plaMobi allows you to create filters based on your needs. Once the filters are created, you will receive a notification when any of the specified filter matches with a post. Example: "Cab”, "Freelance PHP Programmer”, “Chinese Food”, “Lemon Tea”, etc. You can create separate search filter for each of your need, or add all filters in one go and apply. Use Case: Consider you created a filter saying "Spring rolls" and enabled Geolocation based notifications. A restaurant that is in the same Geolocation updated its status as "Today's Special: Spring rolls with garlic sauce". plaMobi will send a notification about the restaurant status to your mobile. You can reach the restaurant and enjoy the spring rolls. ► Perform typical Classified search: To find plaMobi users current post updates that meet your needs. You can use the search option and look for the post updates instead of browsing through the plaMobi map. Thus, with the search option, you can easily locate the posts that matches your needs. ► Initiate chat conversation or Email or make a phone call: plaMobi gives you the flexibility of choosing the mode to communicate with the other person. You can enable or disable any of these modes as and when you need. This feature enables you to have real-time interaction with the people who might be in the same vicinity, but don’t know each other. plaMobi honours your privacy. It does not reveal any information about you or your location until you disclose it personally. You can initiate a chat or make a phone call and convey your needs to the other person. If you notice misbehaviour or feeling uncomfortable with a person, you can block the person immediately. The blocked person can no more reach you through the app and see your post anymore. Copyright © 2015-2019 BangBit Technologies Pvt. Ltd. All rights reserved.